Science has shown that we need sleep for our overall health and well-being. So important, Harvard University recognizes sleep as the 3rd pillar of health, together with exercise and nutrition. Stage 1 features alpha waves and is the period of light sleep, wakefulness, and muscle tone when a person is first falling asleep. Stage 2 features theta waves and transitions between wakefulness and deeper sleep. Stage 3 Restorative Sleep features delta waves and is associated with stabilized glucose levels, testosterone, human growth hormone, and overall physical bodily restoration. Stage REM Restorative Sleep features rapid eye movement and rapid low-voltage EEG similar to when a person is awake. This is when a person dreams and is associated with cellular regeneration, cognitive restoration, memory allocation, and memory retention. 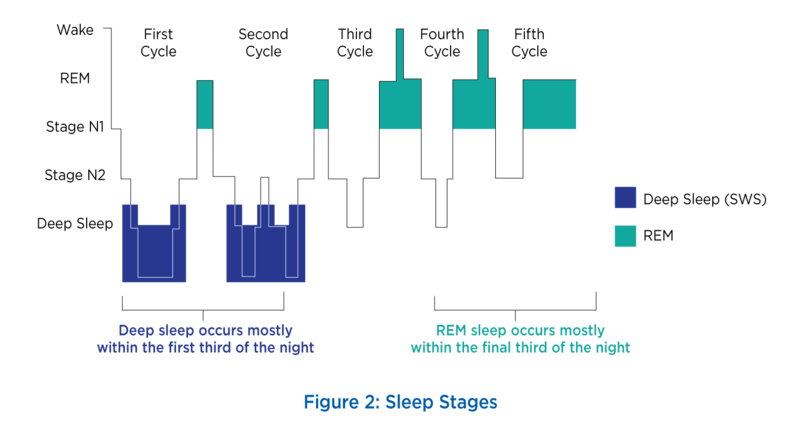 Adult humans generally progress through sleep cycles every 90 minutes in the following pattern, with more Stage N3 delta sleep found earlier in the evening and more Stage REM sleep found in the later morning hours. When is Sleep Most Restorative? Deep sleep occurs mostly within the first third of the night, while REM sleep occurs mostly within the final third of the night. This means that in order to get the restorative sleep your body needs from both deep sleep and REM sleep, you should be sleeping regularly for between 7 to 9 hours a night on a consistent schedule that includes regular bed times and wake times. Both deep sleep and REM sleep can be affected by the habits and activities we engage in during the waking day, such as drinking caffeine or alcohol, or by exercising. Be sure to keep an eye out for any sleep stealers among your daily habits that could be chipping away at your restorative sleep. Take 1 capsule of Rilax a day, before bedtime. Take half capsule of Rilax a day, before bedtime. What does Harvard Medical School say? 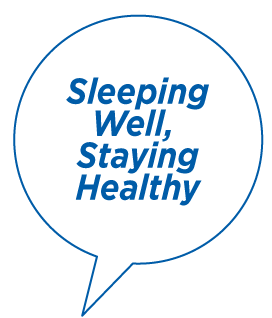 While sleeping well is no guarantee of good health, it does help to maintain many vital functions. One of the most important of these functions may be to provide cells and tissues with the opportunity to recover from the wear and tear of daily life. Major restorative functions in the body such as tissue repair, muscle growth, and protein synthesis occur almost exclusively during sleep. Many other conclusions about the role sleep plays in maintaining health have come from studying what happens when humans and other animals are deprived of the sleep they need. For example, scientists have discovered that insufficient sleep may cause health problems by altering levels of the hormones involved in such processes as metabolism, appetite regulation, and stress response. Studies such as these may one day lead to a better understanding of how insufficient sleep increases disease risk. In the meantime, sleep experts say there is ample evidence that shows that when people get the sleep they need, they will not only feel better, but will also increase their odds of living healthier, more productive lives.